I have this phone and wanted to share the tips and tricks I have learned, as there really isn’t much documentation for this phone. Its a real shame, the reviews are really positive, as it is an excellent phone, but most people who own it do not even know all its features and optimizations. 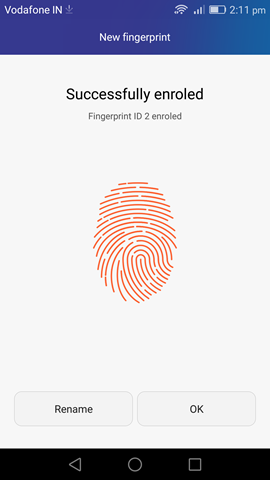 How to use fingerprint to unlock the phone? Simply go to settings, security, then fingerprint ID. It will ask you to place your finger on the sensor and then follow the instructions. Simple! The fingerprint sensor is a nifty feature especially for unlocking your phone, but that is not as far as its functions go. 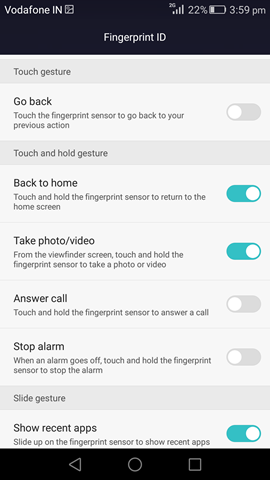 To enable more functions, go to Settings the Fingerprint ID option then set other actions you wish the sensor would perform. Actions range from go back to your home screen, checking on notifications among others. 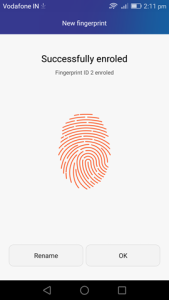 How to lock Apps with fingerprint security? 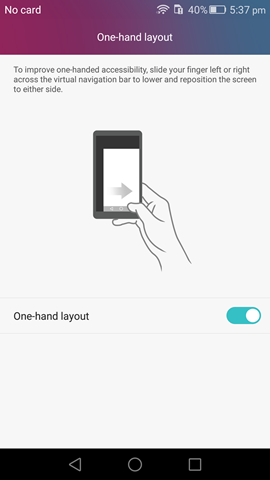 Go to “phone manager” then on the bottom half of the screen, slide it across to the left, and you will see the button “App lock”, you will then have to use your fingerprint to access the next screen. If you haven’t already set up a fingerprint login, go to settings and do this first. Your then presented with a list of all apps, and you can select which ones need fingerprint access. 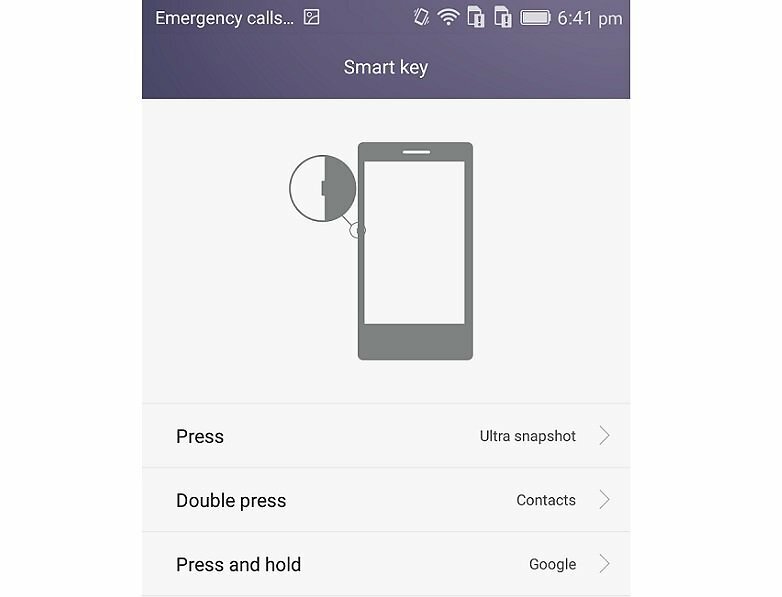 Honor 7’s Smart Key button located on the left side of the device, this button can be used as shortcut to apps or tasks. Activating the button can be as easily as pressing once, then twice and holding it down. 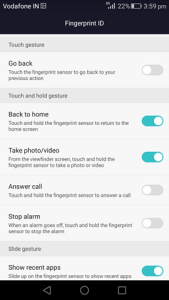 These actions will produce different actions depending on settings, this can be things like sound recordings, turning on your flashlight or taking screenshots. Small Hands? want to use just one hand? – One hand mode! Swipe the lower menu icons to the side you want , and the screen will shrink so that you can reach the whole screen with just your thumb. Lost your phone in your room? 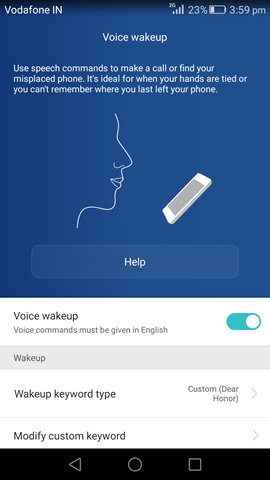 Honor 7 Tip : Voice wakeup to find your phone. Activate voice control and record your lost phrase and then when you want to find your phone, just call out “Dear Honor” “Where are you”. You can also use voice control to make calls. You can drag down from the top and click screenshot button up there, but there is a quicker way. Hold the power/lock button along with the volume down button simultaneously until you hear a sound or feel the vibration. 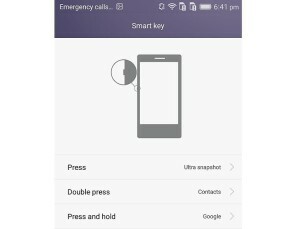 theres a faster way to take screenshot.. 1st set the smartkeys or 2nd, use knucklesense.. i prefer the 2nd one, knocking the screen twice and screenshot snapped! 33|6|The Prophet is more caring of the believers than they are of themselves, and his wives are mothers to them. And blood-relatives are closer to one another in God’s Book than the believers or the emigrants, though you should do good to your friends. That is inscribed in the Book.